“The original, made by Vestron, cost $6 million and grossed $213.95 million, and went on to be a big video title.” There is money here, and I am sure all the people who loved the original will line up to see this new version. Let us also note that Kenny Ortega was the director for Michael Jackson’s ‘This Is It’ tour that never happened. Yes this movie is outdated, but this movie really does hold a special place in many people’s hearts and I am sure there will be an outcry about this, but I’d imagine this will be for the new generation. I wonder if Jennifer Grey will have a cameo or if they will use stock footage of Swayze? Who knows? We will keep our eye on this one for some casting news. SANTA MONICA, CA (August 08, 2011) – LIONSGATE® (NYSE: LGF), a leading global entertainment company, is set to produce DIRTY DANCING, based on the classic 1987 film of the same name, it was announced today by Joe Drake, President of Lionsgate’s Motion Picture Group. The original film’s choreographer Kenny Ortega (HIGH SCHOOL MUSICAL, Michael Jackson’s THIS IS IT), will direct. Debra Martin Chase (THE PRINCESS DIARIES, THE SISTERHOOD OF THE TRAVELING PANTS) and Kenny Ortega are producing. The studio is in talks with Eleanor Bergstein, the writer and co-producer of the original film, regarding her involvement in the new film in a producorial capacity. Alli Shearmur, President of Motion Picture Development and Production, is overseeing the project on behalf of Lionsgate. Filmmaker deals were negotiated by Senior Exec VP of Lionsgate’s Motion Picture Group Rob McEntegart, with attorney Steve Warren on behalf of Ortega, and Michael Gendler on behalf of Chase. Ortega is represented by Paradigm and McDonald/Selznick Associates. 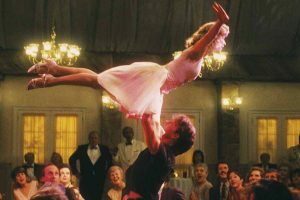 ‘Dirty Dancing’ Re-Cast Baby As Abigail Breslin!!! This entry was posted on Monday, August 8th, 2011 at 4:11 pm	and is filed under Film, News. You can follow any responses to this entry through the RSS 2.0 feed. You can skip to the end and leave a response. Pinging is currently not allowed. « Horror Movie Channel ‘FearNet’ Orders Its First Original Series!! !